Circa 2012. Why are you thin? I'm used to people asking me why I'm thin. Most people think that I don't eat. I do....a lot! However, I don't do that often and I drink lots of water too. I used to exercise regularly. I'm a bit lazy now. I do walk everyday. I also make sure I eat more fruits and veggies. I love pizza, vanilla ice cream, fruit-flavored yogurt, halo-halo, shanghai rolls, spaghetti, cheese rolls, garlic bread, cakes, brownies, and the list goes on and on. 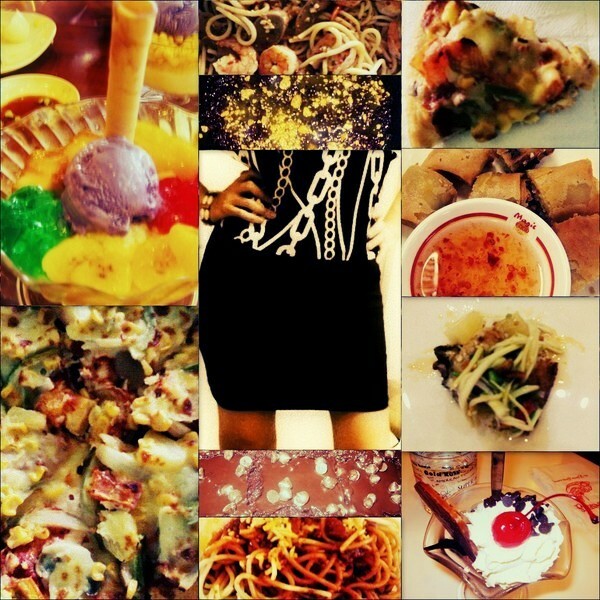 I love to eat. Number 3 All About Health: Don't be bothered about your weight though. As long as you are healthy, that's okay I guess. Just eat right. Try to have a healthy balanced diet. I still struggle with junk foods myself. I can't eat much though because I'd get sick. I can't take too much salt and sugar. One more thing, stay hydrated. Don't forget to drink clean water. Update: Here's my Weight Talk blog entry. Since 2009. The Foodie Side ©. Powered by Blogger.